Our kids have completely different feelings about art. Our daughter absolutely LOVES art and could draw all day long every day if given the opportunity. Our oldest son, though, really doesn’t like it much at all. His feelings are more because he feels like he can’t do it well, though. So I was definitely excited to receive the Entire Level I share an ArtAchieve review. ArtAchieve offers online Art lessons that comply with the U.S. National Standards for Art Education. There are five levels available that are suitable for a variety of ages (including adults). It requires no background in teaching art so anyone can both take the lessons or “teach” them! In addition to learning art, though, our kids have also been learning about various other topics related to the art lessons. We’ve really been having a lot of fun with it! 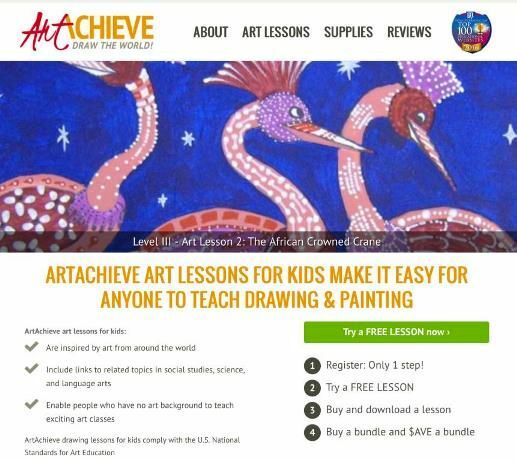 ArtAchieve lessons are accessed online through your account. You simply log in and view your list of lessons. It doesn’t require you to follow any specific order as the lessons don’t appear to build on themselves, so we kind of bounced around. 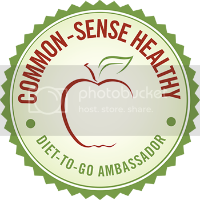 Each lesson is presented in different ways: a video and PowerPoint. Plus, each lesson also includes a Warm-Up and a Printout. We have been using ArtAchieve with our oldest two children (ages 10 and 8). Their love for learning art is also relevant to their current skill. Our daughter does very well with almost any art project whereas our son has challenges. I wasn’t sure we could work through this program together, but we have been. It has been working out great! Our daughter enjoys the challenge of learning new techniques, and our son is growing in his confidence. It’s really been a joy to watch! When first accessing the lessons, I was sure it was ideal to choose either the video lesson or the PowerPoint. What I discovered, though, is it was actually best for us to use both! So for each lesson I play the video, and the kids follow along as instructed. We pause when necessary, and what I found was during those times, it is easier to refer to the PowerPoint slides than to continuously go back and forth through the video. This method has really worked out well for us. The kids can see the still image of the step they are currently on. I think this has been easier for our son as well, in particular, because he likes to have that visual rather than watching the live action over and over again. The lesson times really do seem to vary by lesson type and even by child. Our daughter does always seem to finish first. The Warmup is usually fairly short as they complete a quick activity to prepare them for the lesson. The video lessons themselves are generally between 20-30 minutes. So overall, I do find the lessons to take a total of around 45 minutes up to an hour. The best part, though, is the kids were enjoying this time and learning about other things as well! Overall, I think ArtAchieve is a great art program. It’s easy to access online wherever you have internet access. It can work for a variety of ages and abilities, and it doesn’t require a background in teaching art. The art and corresponding mini lessons within the art lessons are presented in a way that is easy to follow. It has been great for both of our children! Other members of the Schoolhouse Review Crew reviewed the first three levels of ArtAchieve. See what they thought by clicking on the banner below! This would be a wonderful tool to have to utilize yet on that busy schedule. I give thumbs up on innovation. When I was young I loved art and did all kinds of drawings and projects, but it seems to be a skill you have to keep working on because I can’t do that anymore!